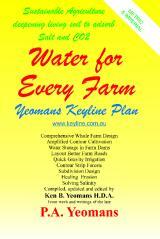 keyline.com.au/form01.htm "Requests to Keyline Designs"
For delivery anywhere in Australia the postage and packaging is $13.45 for up to 3 books. Please select either 1, 2 or 3 copies and click on the "Add to Card" button. This will take you to the PayPal secure payments page and you can proceed from there. Please select only 1, 2 or 3 copies. (Ring for more). The export book price for the book sent from Australia is AU$45.00 plus around AU$28 for postage and packaging. International postage costs can be estimated at the following link. Note: Each book weighs ~630 g.
One Bx1 mailing box containing 3 books weighs under 2 kg.